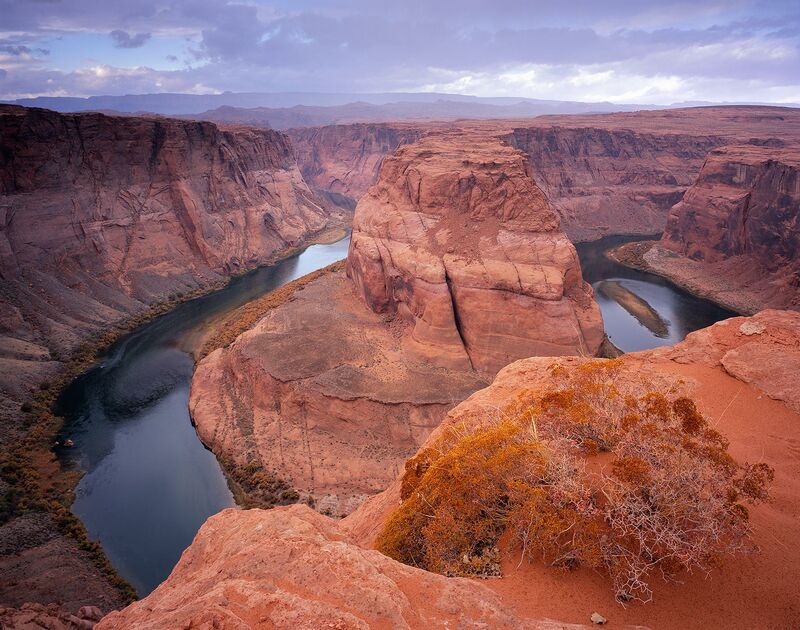 The Colorado River meanders through the sandstone cliffs of Glen Canyon upstream from Grand Canyon National Park. A rainstorm at sunrise provides a few moments of unusually soft, warm light before drenching the thirsty desert. The first drops of rain are visible in the foreground. Luckily I had just enough time to make this exposure with my large-format view camera before I had to pack it away due to the rain.